Bill Belichick and Thomas Dimitroff were among the scouts and coaches in attendance at Athens, Georgia to see Georgia football's best, including Riley Ridley, Elijah Holyfield, and Deandre Bake. With nearly a month away until the 2019 NFL draft, take a look at some of the best moments of the 2019 Georgia State Pro Day. 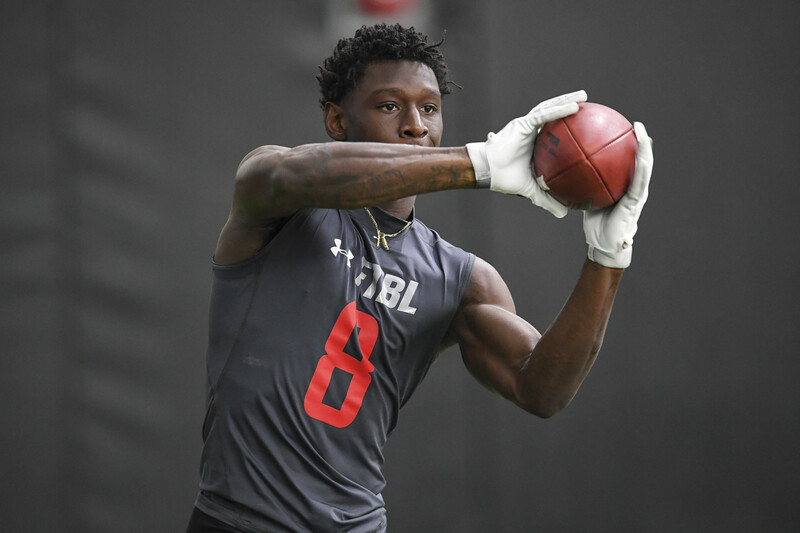 Georgia Bulldogs wide receiver Riley Ridley (8) catches the ball during Pro Day at the UGA Practice Facility. Georgia Bulldogs wide receiver Mecole Hardman (4) catches the ball during Pro Day at the UGA Practice Facility. Georgia Bulldogs running back Elijah Holyfield (13) runs during Pro Day at UGA Practice Facility. Georgia Bulldogs head coach Kirby Smart (left) and New England Patriots head coach Bill Belichick watch the workout during Pro Day at the UGA Practice Facility. Georgia Bulldogs wide receiver Terry Godwin (5) runs during Pro Day at the UGA Practice Facility. Georgia Bulldogs defensive back Deandre Baker (18) runs during Pro Day at the UGA Practice Facility. Atlanta Falcons general manager Thomas Dimitroff looks on during Pro Day at the UGA Practice Facility. Georgia Bulldogs wide receiver Jayson Stanley (2) runs a dash during Pro Day at the UGA Practice Facility. New England Patriots head coach Bill Belichick (far right) talks on the phone near the scout stand during Pro Day at the UGA Practice Facility. Georgia Bulldogs tight end Isaac Nauta (18) finishes running during Pro Day at the UGA Practice Facility. Georgia Bulldogs defensive back Deandre Baker (18) jumps during Pro Day at the UGA Practice Facility. Georgia Bulldogs wide receiver Riley Ridley (8) runs a drill during Pro Day at the UGA Practice Facility.